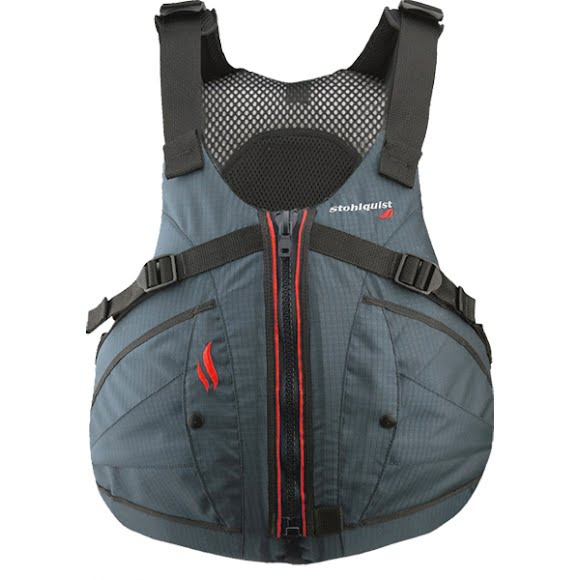 Stohlquist's high performance paddle vests are legnedary and the EBB meets that bar with room to spare. Comfort is unequaled and the high flotation back fits above most sit on top kayaks. It's also a perfect technical all around PFD. Stohlquist &apos;s high performance paddle vests are legnedary and the EBB meets that bar with room to spare. Comfort is unequaled and the high flotation back fits above most sit on top kayaks. It&apos;s also a perfect technical all around PFD. Neoprene padded back lower waistband. Mesh shoulders & back for maximum ventilation. 1 1/2” webbing belt, dual forward pulls for a trim and low profile fit. High back rides above back rest. Adjustable 1 1/2” webbing shoulder and side pulls. #10 YKK zipper with non-corroding slider. 420 denier nylon ripstop shell and 210 denier inner liner. Type III PFD with Sea Level Buoyancy: 16 lbs. 2 oz.